Crawley, W.A. : University of Western Australia Press for the Ernest Hodgkin Trust for Estuary Education and Research and National Trust of Australia (WA) | 2005. Synthesis of the results of may years of research on Estuarine environments form the Murchison to Esperance, Western Australa. Shortlisted for the Western Australian Premier's Book Award 2005. 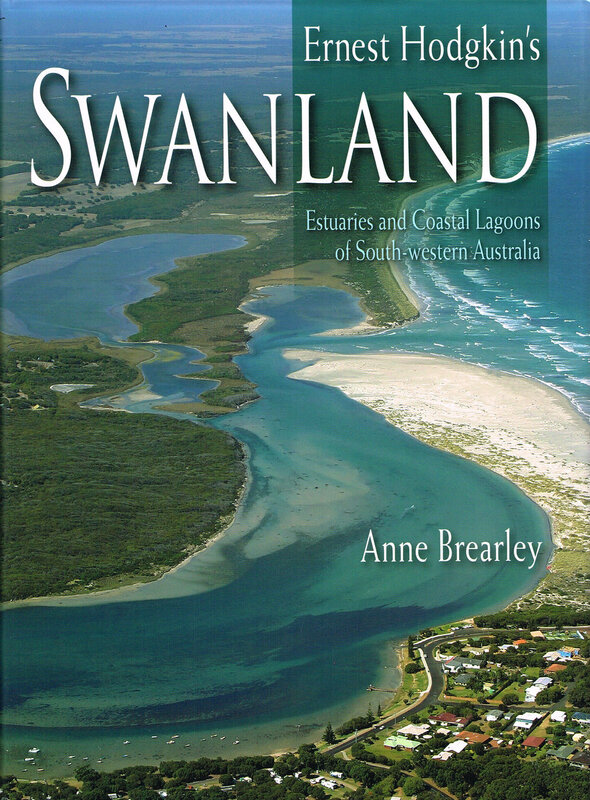 Swanland is a synthesis of the results of years of research on estuarine environments from the Murchison to Esperance, Western Australia. This comprehensive guide for the conservationist, scientist, student, observer, and visitor focuses on the individual estuaries: their history, geography, geology, water-flows and how they changed with European settlement, the natural environment, plants, algal blooms, animals, fisheries, and pressures on estuaries from factors such as nutrient enrichment, development, and the opening of bars. Swanland is well illustrated with maps, figures, photographs, tables, and graphs to provide images and more detailed information. Hodgkin, E. P. (Ernest Pease), 1908-1998. Estuaries -- Western Australia, Southwestern. Estuarine ecology -- Western Australia, Southwestern. Harbors -- Western Australia -- Albany. Estuarine biology -- Western Australia, Southwestern. Estuarine biology -- Western Australia -- Swan River Estuary. Swan River Estuary (W.A.) -- Shorelines. Western Australia -- Indian Coast. Western Australia -- Swan River Estuary.